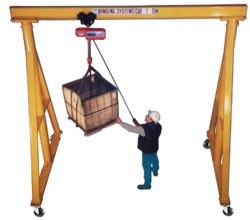 We hold immense expertise in bringing forth the clients a remarkable assortment of Floor Cranes. 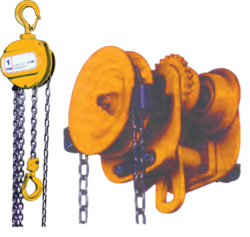 Developed at par with the global quality standards, the range is widely used for shifting heavy loads from one place to the other. Robustly constructed, the range is acknowledged for excellent load bearing capacity, reliable performance, low maintenance and longer functional life. Offered in varied sizes & specifications, the range can also be availed in customized forms, as per the clients' requirements. Abiding by the ethical norms & standards of the organizations, we are engaged in bringing forth an array of Manual Hydraulic Floor Crane. Manufactured at par with the global quality standards, the range is widely used in a plethora of industrial applications for diverse purposes. 500 Kgs. to 3000 Kgs. 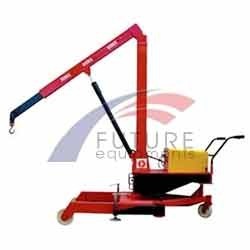 It is effectively a workshop Counter Balance Floor Crane with traditional style jib crane mounted the the front of the crane. 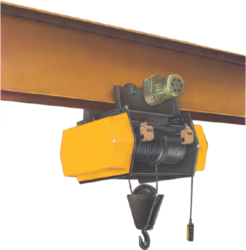 It has an integrated push travel trolley permanently fitted into the horizontal lifting beam (The cantilever jib arm). 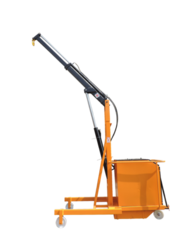 The load trolley can be positioned anywhere on the jib arm, for example above the item to be lifted, when the weight is taken the suspended load can then be moved along the jib arm without moving the crane chassis. 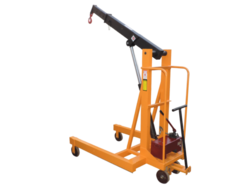 The load trolley has a manual locking mechanism so that it can be locked in any position. All mobile jib crane with this style of movable trolley in the jib arm are made to our customers specification, SWL (capacity) height of lift and reach of jib arm etc... All can be supplied with a great deal of additional features to meet with our customer exact requirements; one of the most poplar enhancements is the rotating jib arm which allows the arm to rotate 15 degrees ether side of center. We provide an extensive range of Hydraulic Floor Crane in different capacities with remarkable versatility for a wide range of jobs. 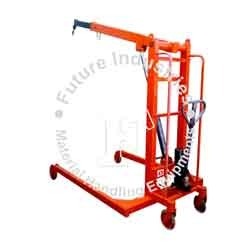 These floor cranes are designed and developed by us for greater mobility and easy application. With large diameter steel wheels and dual swivel casters with pivoted steering handle, positioning is quick, easy and accurate with less operator workload. 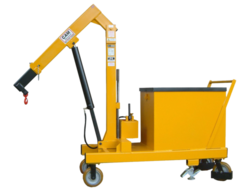 We hold the expertise to offer a range of Counterbalance Floor Crane. Our offered range is capable in bearing high load capacity from 0 mm to 2000 mm. 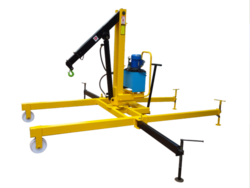 These products are designed and developed for heavy-duty lifting, loading and positioning. Owing to their ruggedly construction, dependable nature and long-lasting use, the offered range is highly appreciated by the patrons. 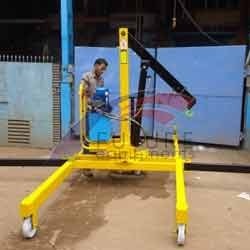 With an objective to fulfill the diversified needs of the patrons, we are engaged in manufacturing and supplying Floor Crane. Developed at our sophisticated manufacturing unit, in tandem with established norms of the industry, these are extensively used for shifting load from one place to another. In order to manufacture superior quality cranes, our professionals make sure to use quality-approved material and employ latest technology & machines. 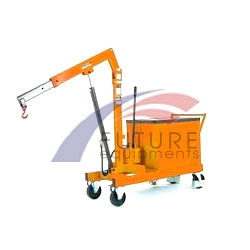 Our organization offers a variegated range of Rotatory Hydraulic Floor Cranes. The offered range find its wide applications in various industries and has the capability of bearing heavy loads. 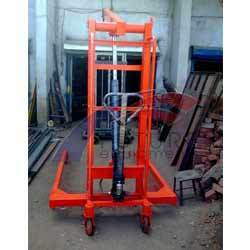 In order to meet the varied demands of the clients, these products are also available in different specifications as per the customer's preference and requirement. Owing to their easy installation, longer service life and rugged construction, these products are highly acclaimed by the clients. 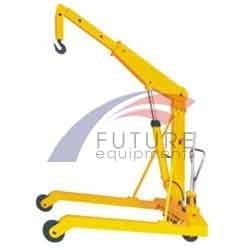 We are engaged in offering quality range of Rotated Hydraulic Floor Crane in compliance with the international products. 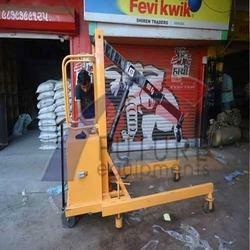 Our high Rotated Hydraulic Floor Crane is capable of bearing heavy loads and finds usage in various industries. Our range can be customized in different configurations and specification to meet the client's requirements.